An activity my family enjoys is making our own pizza. My dad started this tradition a long time ago and has passed it down to me. Try out this recipe next time you are looking for something to do on a Friday night. 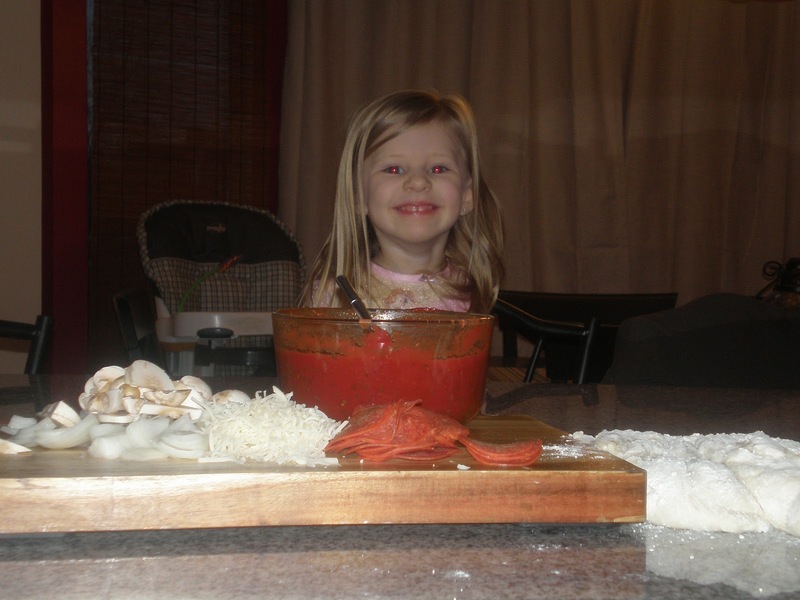 You will be surprised how simple and cost effective making pizza from scratch can be. The first step is the dough. You can make your own or buy it from a store. I own a bread maker and I make my own. If you are serious about making pizza and other bread from scratch, I would recommend buying a bread maker. They are not that expensive and it is simple to make delicious breads and dough with one. This recipe is for a 1-1/2 pound loaf size. If you have a bigger bread maker, you can increase the quantities accordingly or follow the recipe that comes with your unit. Put all the ingredients in the bread machine in the order listed above. Set bread machine on dough cycle, push start. Let it run about 2 minutes ,open look at dough. It should start to form a ball. If not, add more flour. 1 Tablespoon at a time until it starts to pull away from sides. Let it finish the dough cycle. When the dough is done, dump it on a lightly floured surface. Divide the dough into 2 round balls and cover with a clean towel for 20 minutes. 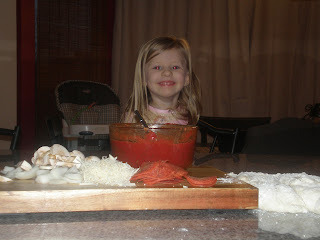 Then roll out the dough to about 1/4 inch so it fits on a pizza stone or cookie sheet. Top dough with sauce and your choice of toppings. Put the pizza and toppings in a preheated oven set at 400 Degrees. Bake the pizza about 15 minutes or until brown on top and bottom. Thanks Greg, I was glad to see the sauce recipe. I've been caught a few times without "pizza sauce". Now I can make my own. I've been doing a lot of pizzas lately as well. On a stone at 500 dgrees. My favorite pizza of all time is the neopolitan style. Thin crust, a couple minutes on stone in 500 degree oven. Then just a thin layer of pizza sauce, pinch of salt,Soft Mozzarella, a sprinkle of olive oil and fresh basil leaves. mmmmmmmmmm good. You wouldn't think so, what no pepperoni?? I thought it wouldn't be pizza without pepperoni. I was wrong. It is the best. John M.